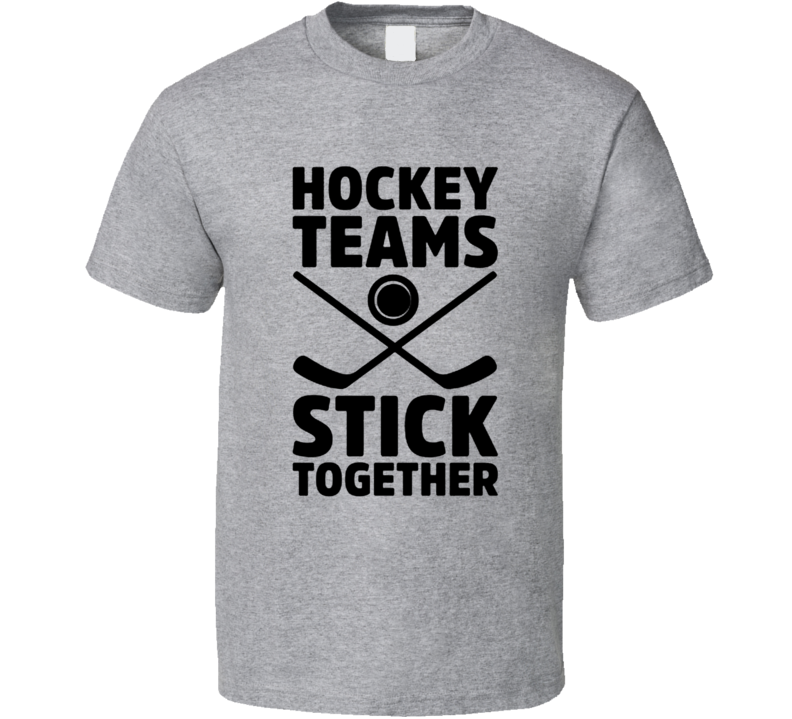 This awesome Hockey Teams Stick Together Funny Farther's Day Gift T Shirt could be yours today! The graphic is printed on a quality, preshrunk cotton t shirt you will enjoy. It would make a great addition to your wardrobe, or buy it as a gift for friends and family. Look no further... your new favorite t shirt is waiting! Buyers are responsible for returning any shirts they are defective in original packaging and in new condition. You will be refunded 100% for the tshirt (excluding shipping costs). We can only offer a 100% refund for defective orders because we are a custom order shop. We can take back shirts that do not fit or you simply want to return with a $7 restocking fee. Contact classictshirtshop@gmail.com if you would like to return your order.